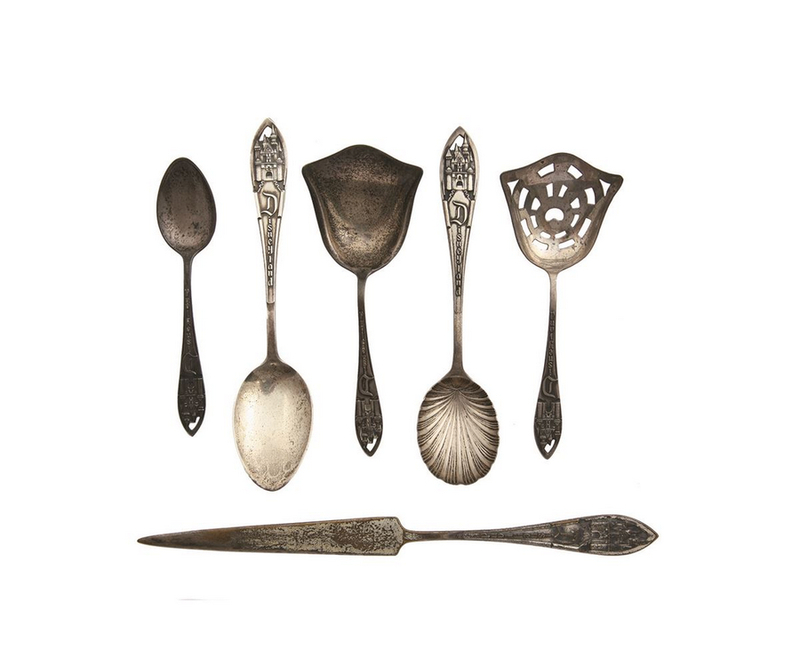 This is an amazing selection of five rare sterling silver souvenir spoons and one silver plated letter opener from the earliest days of the park (some of the spoons are actually dated 1954). 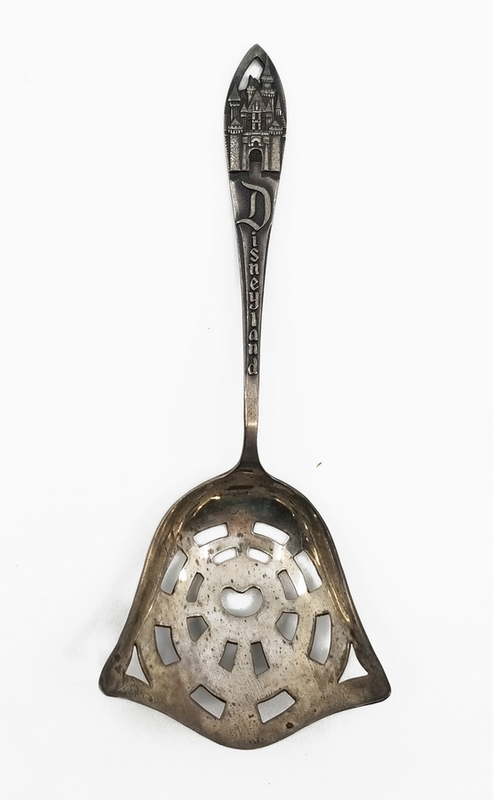 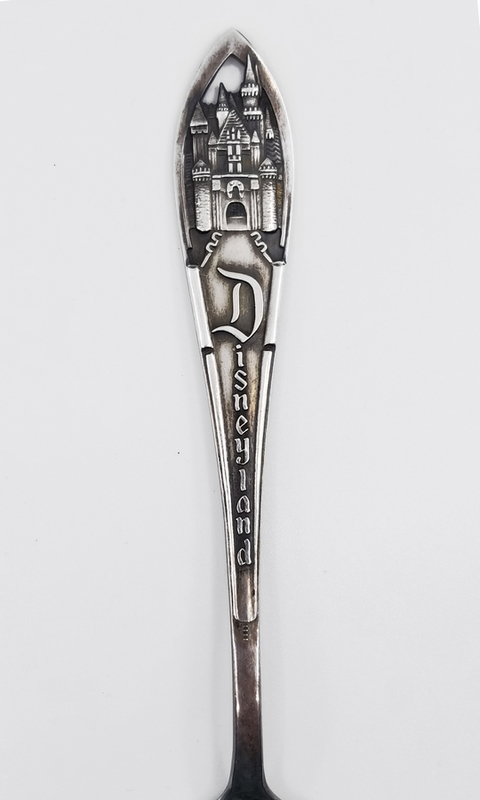 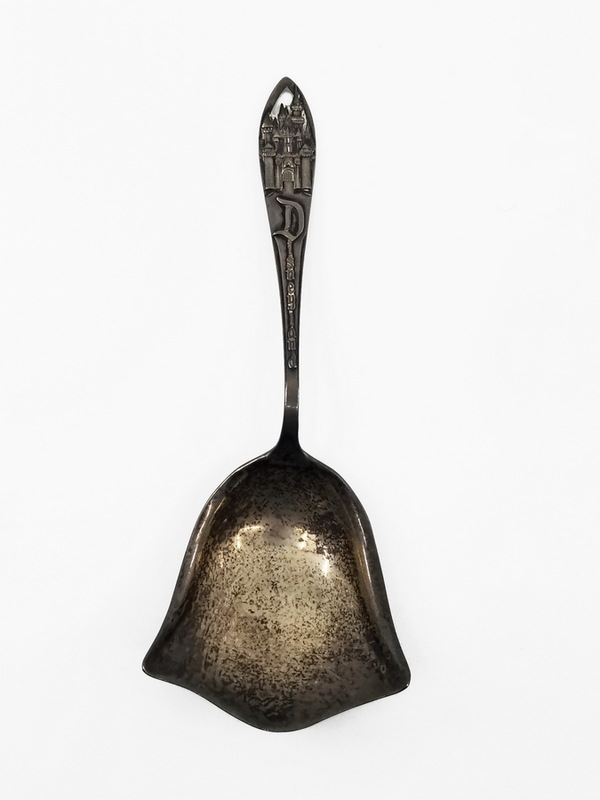 These types of items were popular collectibles of the time, with the spoons being considered as a little more upscale than the standard souvenirs sold at the park. 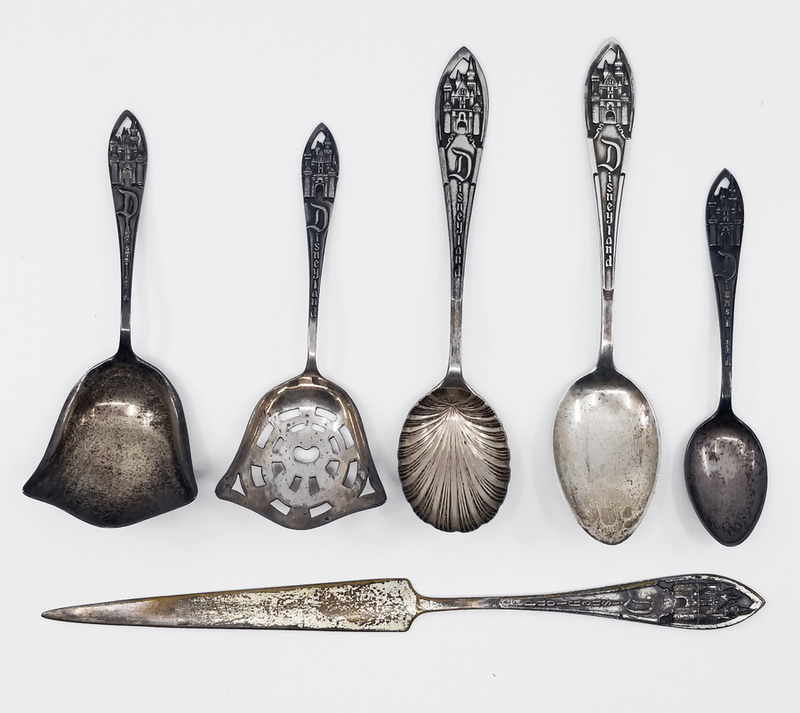 As they appear in the first image, the spoons measure in length (from left to right) 4", 5.5", 4.5", 5.5", and 4.5" with the letter opener measuring 7.75".